KESAR MANGO is known as the Queen of Mangoes. 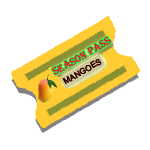 Enjoy premium Kesar Mangoes from renowned orchards in the Gir region of Gujarat and from Maharashtra. Kesar Mangoes are called the “Queen of Mangoes” for their sweetness. The Kesar Mango was developed by the Nawab of Junagarh, who was an avid mango enthusiast. Some of the best Kesar mangoes grow in the Gir region in the Indian state of Gujarat. 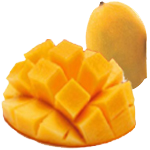 Gir Kesar Mango is unique in flavor and is GI (Geographical Indicator) protected. Extremely sweet when ripe our Kesar mangoes come from the traditional mango growing regions of Junagarh/Gir in Gujarat and Aurangabad in Maharashtra India. The Kesar mango turns fully yellow when ripe and is extremely sweet. The Kesar mango from the Gir and Aurangabad belts is very flavorful. The ripe Kesar mango is fiberless and has a saffron yellow flesh, hence the name (Kesar means ‘Saffron’).